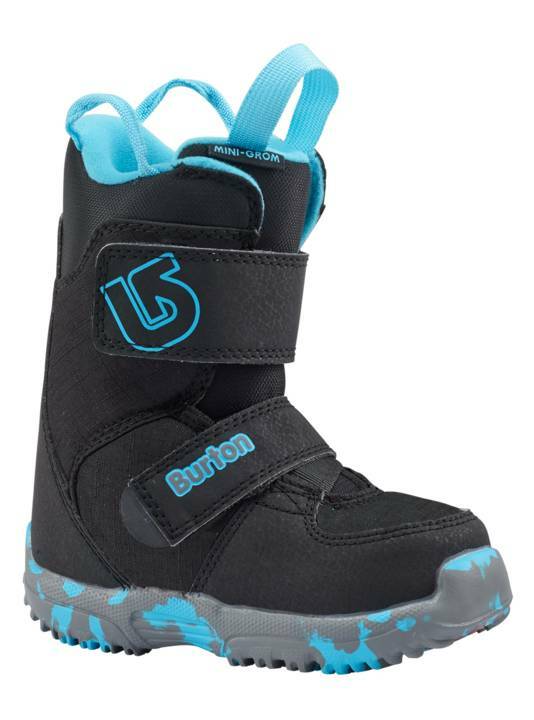 Get your mini shredder started on the right foot with the super soft flexing Burton Grom boot, offered all the way down to 7C and 8C toddler sizes that are the smallest available in snowboarding. Oversized Shred Ready VelcroÌÎå«Ì´åÂ straps get them out there faster while 3M‰Û¡ÌÝåÁÌÎå£Ì´å¢ Thinsulate‰Û¡ÌÝåÁÌÎå£Ì´å¢ Insulation keeps them out there longer. 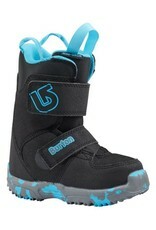 The super cushioned kids‰Û¡ÌÝåÁÌÎÌÌ´åÈ DynoLITE outsole provides better balance, traction, and comfort when hiking, riding, or just playing outside. Better yet, with the Room-To-Grow‰Û¡ÌÝåÁÌÎå£Ì´å¢ footbed you gain one full size to stay a step ahead of those guaranteed growth spurts.